The National Bank of Ukraine (NBU) plans to first settle the issue of providing the proper level of cyber defense and cybersecurity in the sphere of money transfer. The respective initiative is contained in the draft resolution of the NBU approving the regulation on cyber defense and cybersecurity in payment and settlement systems, the text of which was posted on the regulator’s website for public discussion. In particular, the draft resolution provides for determining the requirements for the payment market players in building an cyber defense and cybersecurity system, the procedure for detecting cyber attacks that reduce the reliability of payment and settlement systems, as well as the requirements for organizational and technical measures to ensure the protection of information and cybersecurity by the payment market players. The regulator said that this document is based on the requirements and recommendations of national and international cybersecurity standards, as well as modern approaches to cyber defense and cybersecurity that are universally accepted in international practice. 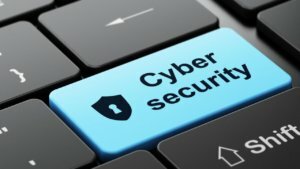 The adoption of the draft resolution will allow minimizing the number cyber incidents in the sphere of money transfer, regulating the use of cybersecurity tools, increasing the reliability of the functioning and efficiency of payment and settlement systems, speeding up the modernization of payment systems, taking into account modern cybersecurity technologies. Comments and proposals for the NBU draft document will be accepted until October 27. 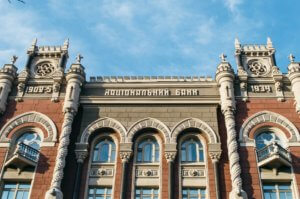 The National Bank of Ukraine (NBU) intends to impose restrictions on certain types of bank operations in case if the bank’s risk management system is recognized as ineffective. The document comes into force on September 11, 2018. 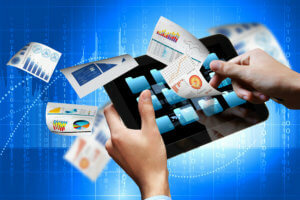 The regulator may also require the bank to suspend or terminate certain types of transactions. The final decision will be made based on the evaluation of the viability of the bank’s business model, analysis of the provided actual and forecast balance sheet data, profit and loss statements, transactions with related parties, and regulatory capital components. The National Bank of Ukraine (NBU) has set a target inflation rate at 5% from December 2019. This is stipulated in the NBU’s monetary policy strategy approved by the NBU council in July and posted on the regulator’s website on Tuesday. “The best benchmark for inflation (the Consumer Price Index year-over-year) … is determined by the NBU at 5% ± 1 pp. The phase of reducing the inflation target from the current level to 5% will take place until December 2019. And since December 2019, this goal set at % will be constant and can only be revised downwards if the volatility of the hryvnia forex rate reduces, reference prices change and the effects of the convergence of the Ukrainian economy are lowered to the level of the countries that are major trading partners,” the document says. According to the strategy, in certain periods, inflation may deviate from the established benchmark because of the influence of factors not subject to the NBU’s monetary policy. For example, it could be a change in commodity prices or a deviation of administratively regulated prices from the previously declared level. However, the NBU, as before, will use monetary tools to return inflation to the target numbers, it said. The document also stipulates the application of the interest rate corridor for overnight credit and deposit transactions to manage short-term interest rates of the interbank credit market by limiting their fluctuations around the key interest rate. It also provides for the possibility of applying differentiated mandatory reserve requirements to improve the effectiveness of regulating the liquidity of the banking system and encouraging banks to raise funds primarily in the national currency and for a longer period. The NBU monetary policy strategy confirms the need for institutional independence of the regulator. It says that the NBU should avoid any form of fiscal dominance, including direct or indirect support of budget expenditures. As reported, the document is the successor of the NBU’s monetary policy strategy for 2016-2020, which was approved by the board of the central bank in August 2015. The new monetary policy strategy retains key elements of the inflation targeting regime, defines the main objectives of the monetary policy, the principles, tools and directions of their evolution for the medium term. At the same time, the specifics of the application of the monetary policy tool will be reviewed annually, taking into account the state and risks of the external and internal macroeconomic environment, and will be approved by the NBU Council in the annual Monetary Policy Fundamentals. The National Bank of Ukraine (NBU) has drawn up recommendations for submission of document with the purpose of agreeing on conditions and the rules of operation of an international payment system, the payment organization of which is nonresident, in the country, the central bank has reported on its website. “This document is intended to support partnership relations with payment market players and simplify the process of preparing documents that, in accordance with the law, are sent to the National Bank of Ukraine for registration of an international nonresident payment system,” the NBU said. The recommendations include the procedure for issuing and submitting documents to the NBU, a description of the provisions that should contain the documents, as well as a list of Ukrainian legislative acts and documents of international organizations that should be used to submit documents to agree on the terms and conditions of the international payment system. Payment organizations of international payment systems have the right to carry out activities in Ukraine only after their registration by entering information about them into the register of payment systems, settlement systems, participants in these systems and payment infrastructure service operators, which is kept by the NBU. The NBU enters information into the register on the international payment system, the payment organization of which is a nonresident, after agreeing the conditions and the order of the activity of this payment system in Ukraine. Currently, the register contains information on 10 international nonresident payment systems, of which three are international card payment systems and seven are international money transfer systems. The National Bank of Ukraine (NBU) may raise its key refinancing rate to at least 18% in September, bankers polled by Interfax-Ukraine say. “The refinancing rate in September may grow by 0.5%, while the increase in the rate will indirectly help ease the pressure on the hryvnia. Following the increase in the refinancing rate, bank deposit and interest rates may grow by 0.5%,” Governor of Bank RwS Vladyslav Kravets has said. The head of the financial department at Ukrgasbank Viktor Pasternak also predicts that the NBU will raise the key rate in September. “The National Bank of Ukraine’s increase in the refinancing rate may be within one percentage point. Now the hryvnia is seeing its seasonal weakening, which in turn affects inflation, and an increase in the NBU’s refinancing rate helps curb the inflation,” he said. According to Pasternak, raising the key rate raises the cost of the hryvnia, but it will not directly influence the exchange rate of the hryvnia. Head of the investor relations department at Credit Dnepr Bank Andriy Prikhodko also forecasts growth of the refinancing rate. “The deterioration of financing conditions for Ukraine against the background of the acceleration of the devaluation in August creates prerequisites for raising the refinancing rate, so a small increase in the refinancing rate is possible. A tough monetary policy will increase the profitability and attractiveness of hryvnia instruments, which should reduce pressure on the rate (hryvnia) and inflation. The increased key rate will directly affect the yield of government domestic loan bonds and deposit certificates, the impact on rates on bank deposits and loans will be more indirect and with a certain time lag,” he said. Governor of Piraeus Bank Serhiy Naumov also forecasts the refinancing rate may increase slightly in September. 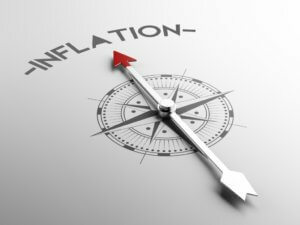 “Despite the fact that inflation slowed this summer, inflation expectations are still high, we are entering the autumn period when the exchange rate is growing seasonally and the likelihood of gas price hikes for households is high, so I believe that the NBU can once again consider an increase in the rate. But I don’t think it will be drastic. If the key rate grows, I think rates on both bank deposits and loans will go up, but not immediately and not crucially,” the banker said. The volume of private money transfers to Ukraine in January-May 2018 increased by 30% compared to the corresponding period of 2017, to $4.5 billion, Head of the Council of the National Bank of Ukraine (NBU) Bohdan Danylyshyn has said. “The volume of private money remittances to Ukraine grew to 8.4% of GDP in 2017 (according to the new NBU methodology). And it continues to grow rapidly this year (in January-May this figure was 30% higher than last year and reached $4. 5 billion),” he wrote on his Facebook page. According to Danylyshyn, a new wave of labor migration from Ukraine is due to many factors, the most important of which are military aggression, a deep and long-term economic crisis, unemployment. “The NBU inflation report for January 2018 said that the share of migrants in the population aged 15-70 is 8% … The scale of labor migration in Ukraine has become dangerously high for the future economic prosperity of the country,” he wrote. In his estimation, a strong external migration, including highly skilled workers, together with the population aging is a significant challenge for the state. “For example, the “brain drain,” in particular, means the loss of public resources invested in their education, the narrowing of industry, the deterioration of the business environment,” he said.